The authority of your plumbing website is a proven metric the Google assesses to establish your search rankings. Your site’s domain authority is the overall measurement of how dependable, informative, and cited your website is throughout the digital world. However, these metrics can be very difficult to accurately measure without the help of a secondary tool. Your website’s domain authority is free to view with MOZ’s free chrome extension; “MOZ Bar.” The inventors state that it’s far more realistic to move a score from 20 to 30 than it would be to move it from 70 to 80. Website’s of high prominence with a multitude of valuable backlinks earn the highest domain authority. For example, Google and Wikipedia are examples of elite-level DA. To learn more about improving your plumbing website’s domain authority, give us a call at (877) 388-9884. Publish Content: Create great blog posts, pages, etc. 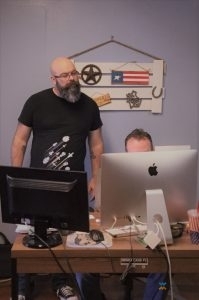 A combination of best practices for SEO will help build DA for your plumbing website. While directly influencing the metric is not realistic, embracing its supplementary components will put you on the path to improvement. 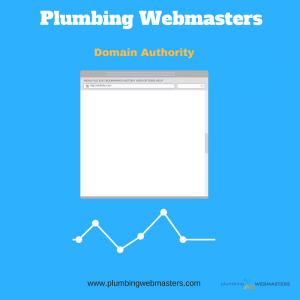 Plumbing Webmasters has been helping contractors improve their online presence for years, and one of the metrics we monitor to gauge progress is domain authority. We are eager to help you start improving your internet marketing campaign today. What’s a Good Domain Authority For Plumbers? There’s no “good” or “poor” domain authority since its a comparative analysis metric. With that said, Google and Wikipedia, for example, will have considerably higher rankings than a run-of-the-mill plumbing website. What you’ll want to do is measure DA in comparison to competitors in your industry and service radius. The goal is to have a higher score than them so that you put yourself in the best position to outrank them on Google SERPs. Sound overwhelming? Put your worries aside and delegate internet marketing responsibilities to Plumbing Webmasters. Running a plumbing company full time does not leave many hours to spend on improving link profiles and crafting engaging content. The best option is to delegate these responsibilities to our expert team of web designers, SEO experts, and content marketers. 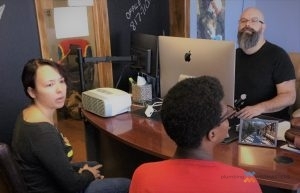 We will design a custom website, optimize it for Google, and craft great content that can earn inbound links. Call (877) 388-9884 for plumber domain authority. Updated on April 2, 2019 at 3:06 pm by Plumbing Webmasters.